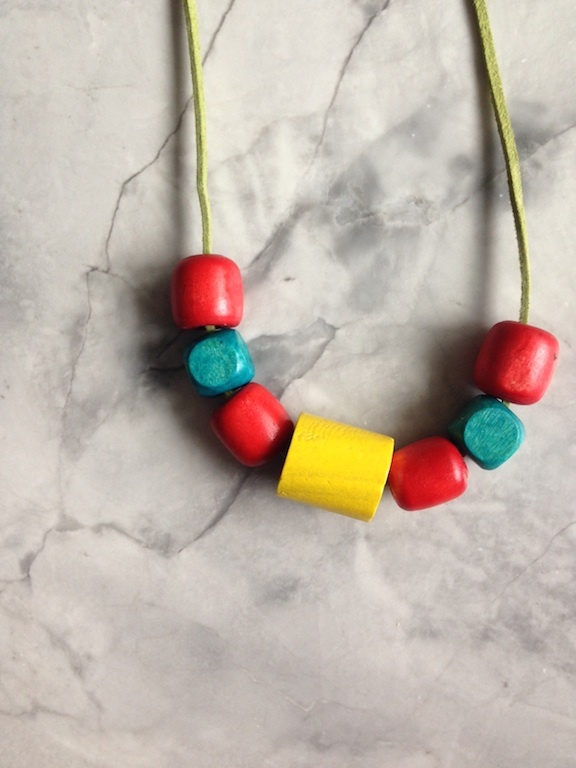 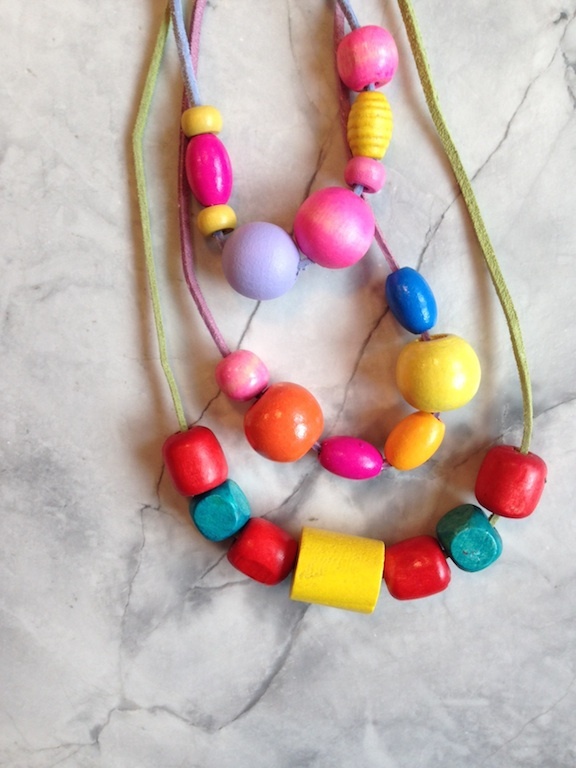 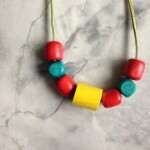 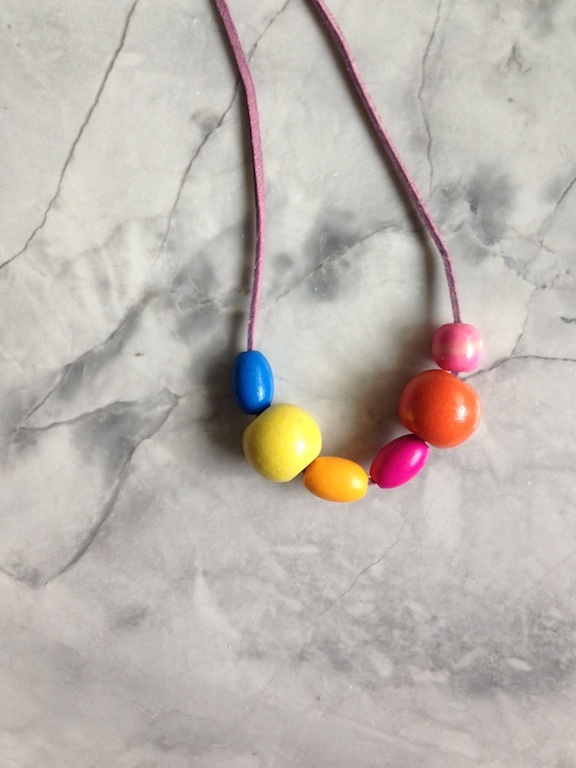 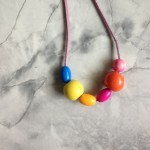 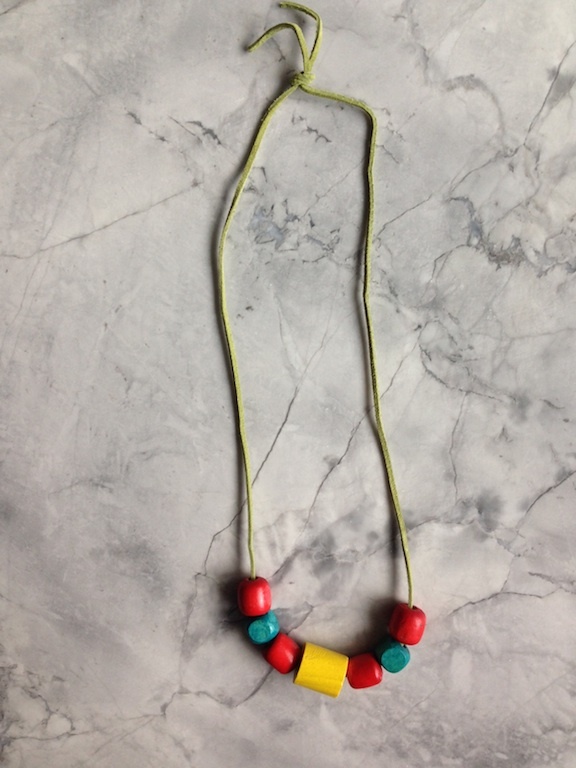 Handmade wood bead necklace on brushed leather string. 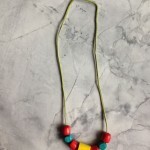 approximately 11-12 inches in length. 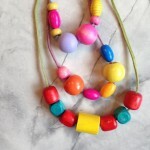 *each necklace is slightly different, pictured necklace is not necessarily what you will receive. 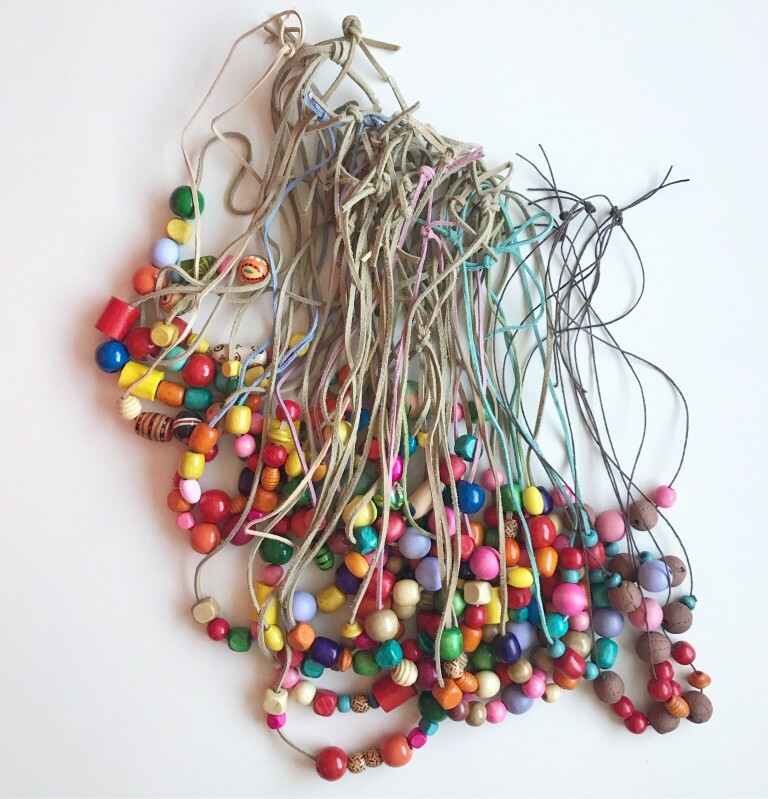 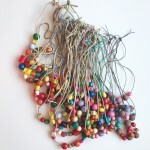 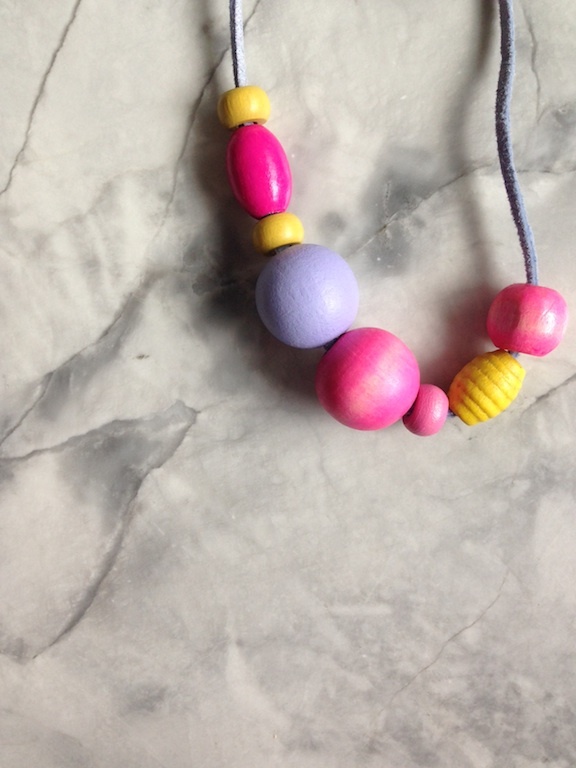 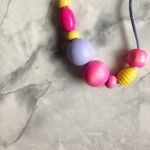 Beads painted with non-toxic paint.